Ten-year-old Krystal Surles watched as her best friend was murdered before the intruder slashed her throat with a 12-inch boning knife. Despite the odds, she survived and led authorities to 35-year-old Tommy Lynn Sells, a former truck driver, carnival worker, and drifter. Through the Window includes his confession to the murder of 10-year-old Joel Kirkpatrick, playing a pivotal role in obtaining justice for wrongfully convicted Julie Rea. Lock your windows and plunge into the dark mind of a serial killer as you follow his two-decade long, cross country trail of murder. About the author: Diane Fanning is the author of the Edgar Award finalist Written in Blood: A True Story of Murder and a Deadly 16-Year-Old Secret That Tore a Family Apart. Her other works of true crime include the best seller Mommy's Little Girl, A Poisoned Passion, The Pastor's Wife, and Gone Forever. She is also the author of the Lucinda Pierce Mysteries: The Trophy Exchange, Punish the Deed, Mistaken Identity, Twisted Reason, and False Front. She has been featured on 48 Hours, 20/20, Court TV, the Today show and the Discovery Channel, and has been interviewed on dozens of radio stations coast to coast. Her books are sold throughout the English-speaking world, including the UK and Australia, and there are more than half a million copies in print. Before becoming a writer, Fanning worked in advertising, and she earned more than 70 Addy Awards. 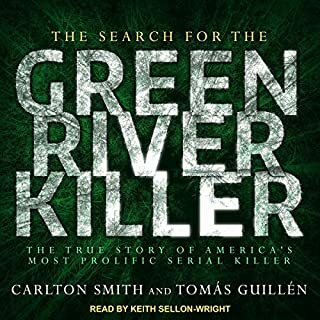 This was one of the better True Crime books I've listened to in a while, and I thought it was Fanning's best work as well. The facts of the case are truly horrifying, and Tommy Lynn Sells' casual, almost nonchalant evil is hard to accept, but the book is all the more compelling for it. Fanning does a good job adding some backstory to each of the victims, and she recreates the monstrous details of the crimes without sensationalizing them. It's a bit difficult to keep track of all of the characters, in part because this guy took so many lives and affected so many more. You can't tell his story without telling all of theirs, and all the names do get a little lost in the crowd of ruined lives. Perhaps the author could have done a little better job adding context or recurring memory markers of some kind so listeners who aren't keeping score on a notepad can keep up with the catalog of horrors. 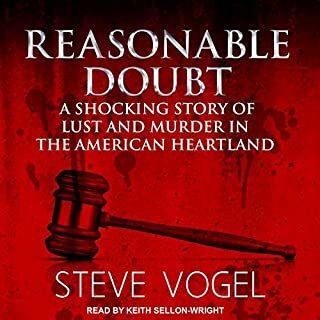 But that's nit-picking ----- this was well-researched, -written and -narrated account that lovers of True Crime should enjoy immensely. Would you try another book from Diane Fanning and/or Thomas M. Hatting? i have had others by fanning, they were not this bad! definitely not up to ann rule standards, however. as for the narrator, i never want to be subjected to him again. he reads in this artificially soft, slow kind of voice that seems like he is reading to a kindergarten class. it just doesnt mesh with the subject matter. or anything else i can think of. possibly children's books.as for the author, i think this book is pretty fatally badly written. such statements as "and then he murdered her. she did not report in for work on monday." give me a break. there are countless such inartful, asinine statements, as if the author was just too lazy or unimaginative to say something in a better way. i am deathly tired of this horrible style of writing but trying to finish the book.... i was very surprised at this lack of quality in the writing having had several other fanning books. i am a true-crime fan. one or more of her books was actually good. not quite up to ann rule, but getting there. but overall, so far there has been a wide variety in the quality of her work. maybe this current one was an early effort in her career.but it definitely sounds like the work of a beginner or an amateur. because i like to learn the detail and background of true crime stories, and i do enjoy courtroom descriptions, i am trying to stay with it to the end. but it's not really easy nor that enjoyable. it is a total mystery to me, however, that such a narrator was chosen. this only made bad writing almost unbearable to listen to. i cannot imagine a situation where this reader was chosen over almost anyone else. again, maybe it was his first attempt. just awful. painful to endure. not to the end yet. trying to get there! the narrator practically destroyed a book that was very poorly written to begin with. i cannot listen to this narrator ever again. the only redeeming quality for me is that there is a fair amount of the factual detail included, such things as psych reports, police reports, some family background. but i resented that the author included in such background "facts" that she could not have known about a victim whose only appearance in the book is as a dead person. the author could not have known what the person thought or felt, not in the way she presents it. true, SOME assumptions can be made. but definitely not in the way, and to the degree, that she writes it. how someone twirled their sundress on a summer day, or was so eager to see someone and had missed someone so much, this type of thing, where these statements are not quotes from others who were there, they are just made up by the author. to me, that is injecting FICTION into the facts, which is what i DO NOT WANT. if i want a novel, i wouldnt be buying NON-FICTION. i resent this kind of liberty taken. there was way too much of this little sin. and it is only one of the, what i consider, little writing sins in this book.however, in answer to the question, if you grit your teeth and bear some bad stuff, you can glean the facts and circumstances, and general flow of various crimes the perp committed and how they were done, and why, if there is any answer to that last one. 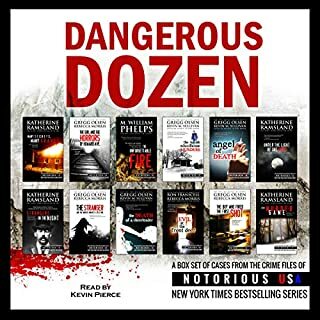 audible has so relatively few true crime books available, i feel i have to get as many as i can. How can one man cause so much pain to so many people. I was fasinated by the story and the many opportunities law enforcement had to stop him. Just remember you never truly know someone. This is my first book by this author and narrator. In all, I think that both the writing and telling suffer. The subject matter itself is enough to keep the listener tuned in, but a better writer/narrator combination would have made this story much better. Would you be willing to try another book from Diane Fanning? Why or why not? Perhaps, but I just can't shake the feeling that she is really not a very good writer - at least for this genre. The book is definitely worth a listen, but the overuse of adjectives and, at times, sappiness, were unnecessary and detracting. In every way. This is where I had the most difficulty following the chain of events. First off, he inflects too much and at weird times, almost like he's new at this. He does seem to get better as the story moves on, but what remains, and is at least as unpleasant, is that he will quickly jump from the end of one story line, into the beginning of another. I do not know if this is more the failing of the writer or the narrator, or both, but you will find yourself following one thread, then immediately, a new character, or action by the killer, will be introduced, almost as if the narrator had dropped the pages he was reading from and gotten them out of order when he picked them up. (You can hear him turning pages, which is kind of nice). Could you see Through the Window: The Terrifying True Story of Cross-Country Killer Tommy Lynn Sells being made into a movie or a TV series? Who should the stars be? Perhaps one of the biggest problems with a Sells-based movie or mini-series would be figuring out how to deal with the violence, since so much of it is directed at children. I'm not sure what everyone found so irritating about the narrator. I really enjoyed his voice & narration style and thought it was well suited for the book. 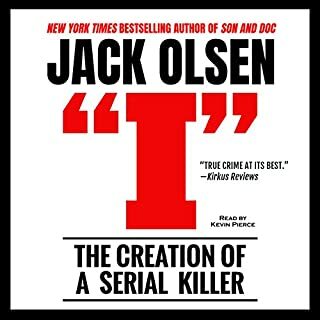 Good true crime book about a less well known serial killer. This was a relatively decent summary of the horror that Tommy Lynn Sells inflicted. It is somewhat dry and list-like. 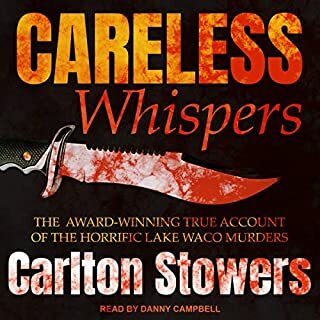 The narrator is absolutely terrible; this narration made it VERY difficult to follow and finish this audiobook. Tommy Lynn sells as evil as he was surely came into t this world in the same default blank canvas way we all did, baby, toddler, pre pubescent, adolescent and so on, but according to this book he must have emerged a serial killing maniac with no prior life history. This could have been interesting, to bad the focus was on the ' shock value" this was an intellectually dishonest book appealing to the lowest common denominator. Refund please. Way too long, too many details. Not sure. I ended up skipping through most of it because of the unnecessary details. If you’ve listened to books by Diane Fanning before, how does this one compare? I haven't. I think she writes well. Which character – as performed by Thomas M. Hatting – was your favorite? 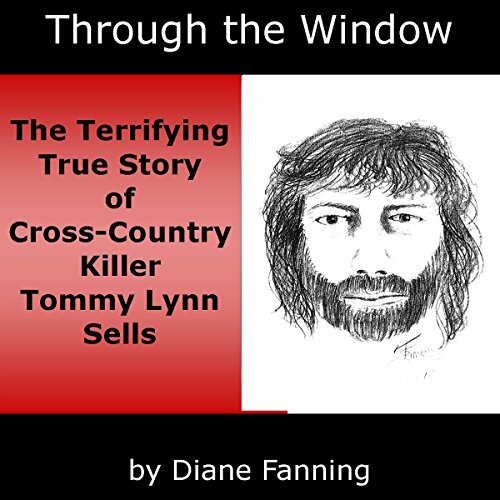 Was Through the Window: The Terrifying True Story of Cross-Country Killer Tommy Lynn Sells worth the listening time? Yes if you skip chapters. This is a well written book and well narrated. It just should've been half the time and could have been. As an avid reader of true crime, nothing bothers me, but this book stunned me. The stories, which I had never heard were almost unbelievable. Not that I doubted the story but I cold not believe what an animal this guy was. I had to read somethng else fast to get some of the details out of my head. A terrific book just be prepared for some horrific stories. 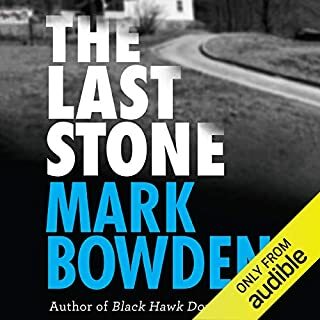 As I said, this is a riveting story regardless of who writes or performs it, but another author and narrator could have done a much better job. I would not have used a precious credit for it, however. The narrator is almost the worst I've ever listened to. Frankly, I think it's a combination of the writing and the performance that turned me off. As it is, I'm pushing it giving it a 3 star rating. Sorry, I was hoping I had found a new author to read, but Ann Rule, she ain't.